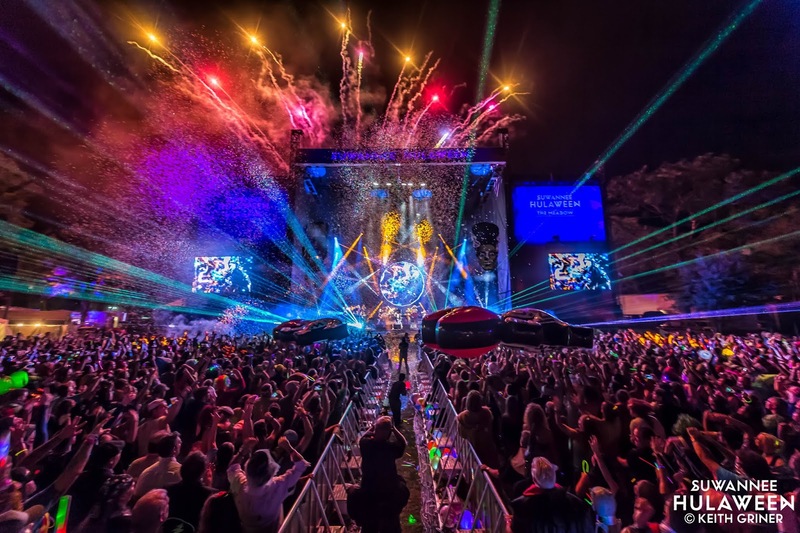 Colorado’s String Cheese Incident is now hosting its’ sixth year at the Spirit of the Suwannee Music Park grounds in Live Oak, Florida. The park spreads itself over 800 acres with a capacity of 25,000 people. However, the past couple of years, the attendance has been capped at 20,000. So that’s about twice as big as a festival like High Sierra but only a third the size of a festival like Bonaroo, to give you an idea of the scale of the party we are dealing with here. This year’s lineup features all of the most heralded genres in today’s live music scene. From the jam giants (STS9, MMW) to the veterans of funk and soul (Lettuce, Mavis Staples), to the most buzz worthy DJs of recent electronica (Tipper, Polish Ambassador), all the way to the flatpicking virtuosos of the bluegrass realm (Larry Keel, Jon Stickley), Hulaween is simply stacked with something for everybody. Let this hand-curated playlist guide you through your most anticipated artists (ahem…Jamiroquai…ahem) or introduce you to the acts with which you are unfamiliar. Unearth some obscure tracks and rock out to the classic hits. At 85 songs and a total of 6 hours, 11 minutes, this list features nearly every artist on the lineup. Depending on where you’re traveling from, this playlist should get you there. Here’s to prepping and pumping up for Hulaween 2018!